I needed a present for my sister. 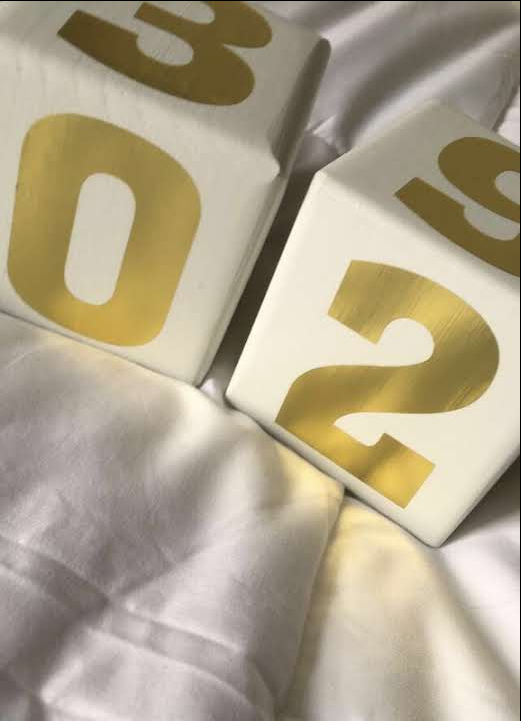 I wanted it to be cute, preferably handmade (and therefore, generally cheaper), anddddd I wanted to use wooden blocks, cause I was in a wooden block mood. Do I need another reason? 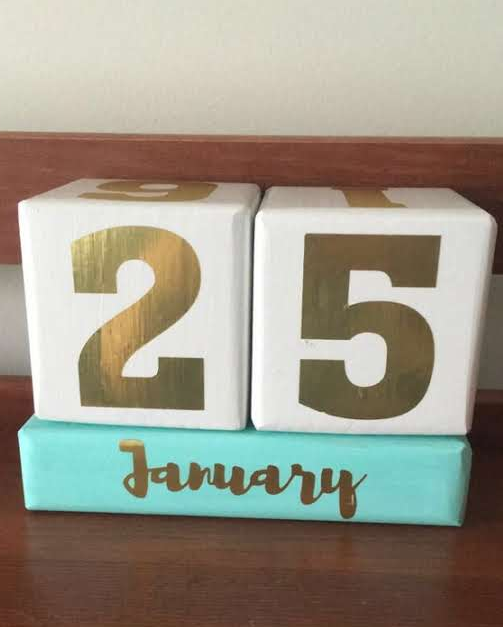 I had seen some calendar blocks on Pinterest. What a cute idea, right? We bought a 2×4 and a 4×4 from Home Depot. 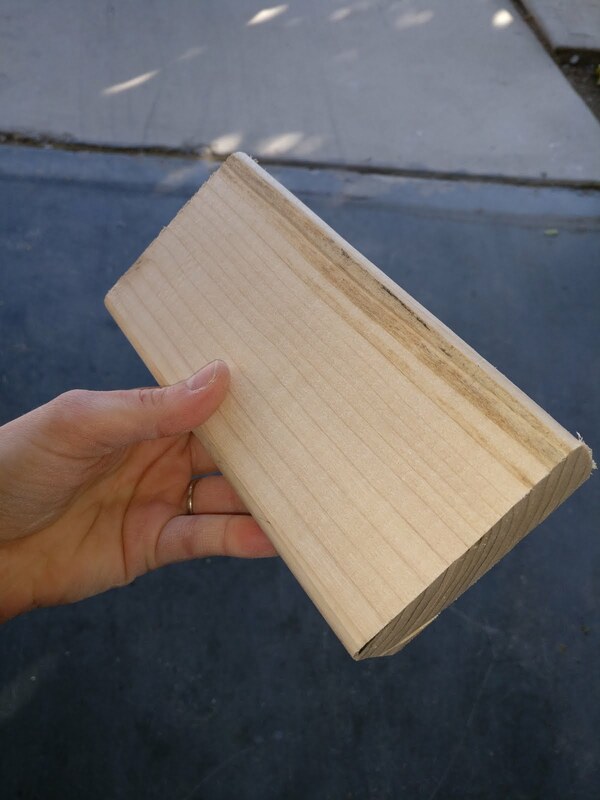 TIP: Remember, the wood shrinks, and it’s actually usually about 1.5×3.5 and 3.5×3.5. They just call it 4×4. 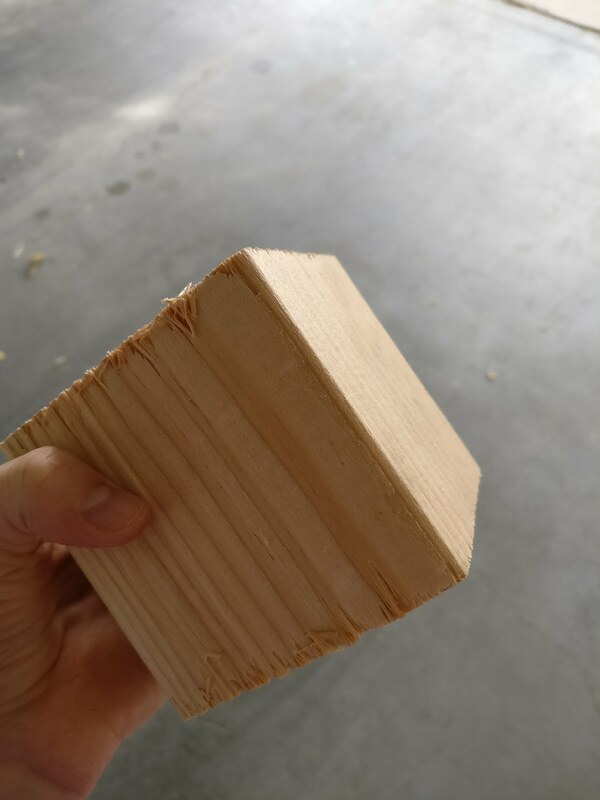 So make sure to measure the wood, and adjust your cutting accordingly. and 6 blocks for the base. 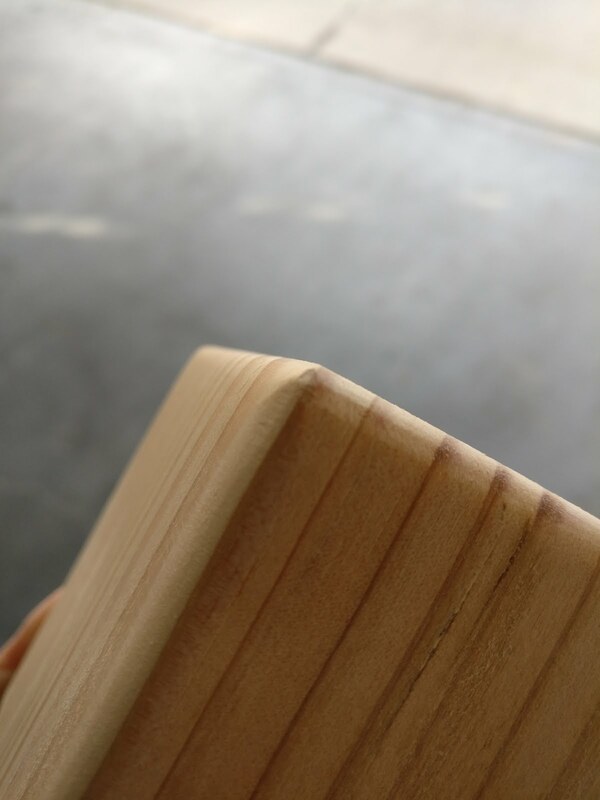 Then we sanded everything, and got all the ends flat, and the edges smooth and round. 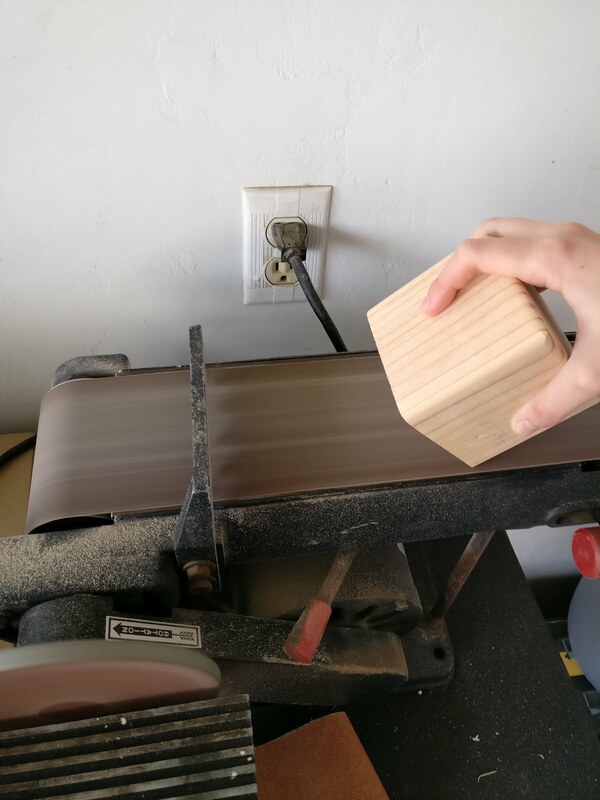 Check out that beaut of a belt sander. Got it at a yard sale, baby. With all the blocks sanded and ready to go, I got to painting. 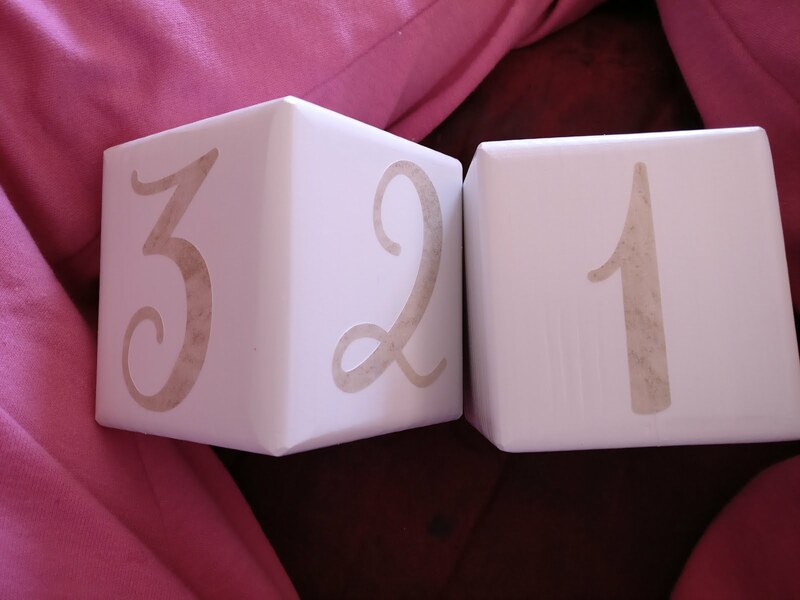 I painted the number blocks white. 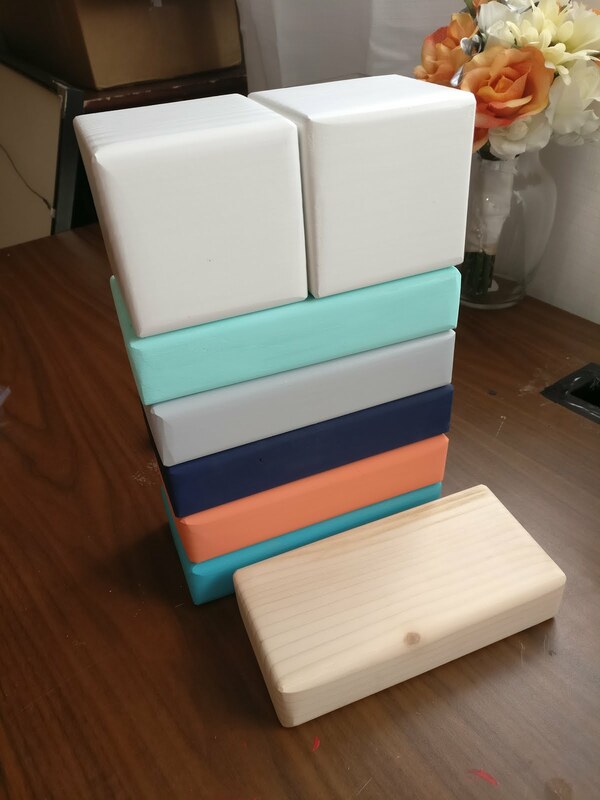 The month blocks, I painted mint, gray, navy, peach, aqua, and purple. I bought some gold contact paper from JoAnn’s, I believe this stuff, but I bought it in person so I’m not 100% sure. 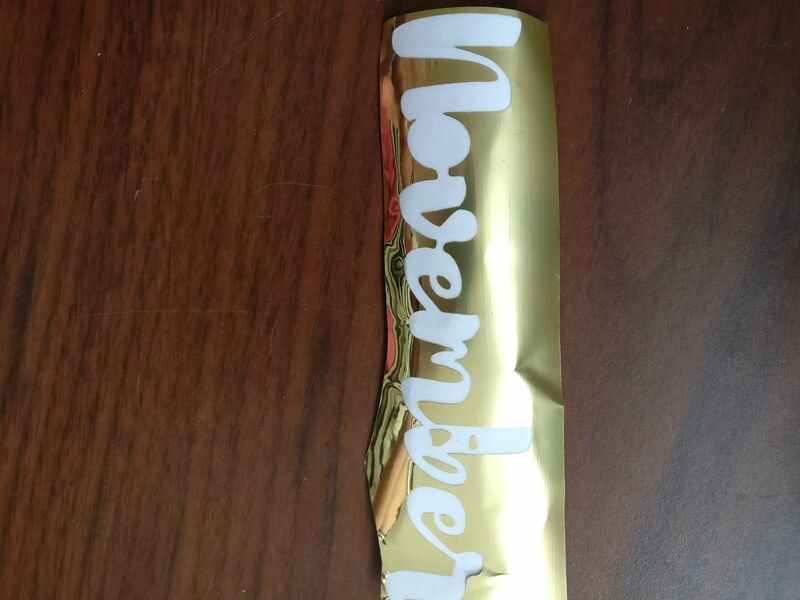 I used one of my favorite free fonts, Brusher, for the months, and I cut the gold Cricut paper out on my Cricut Explore Air. 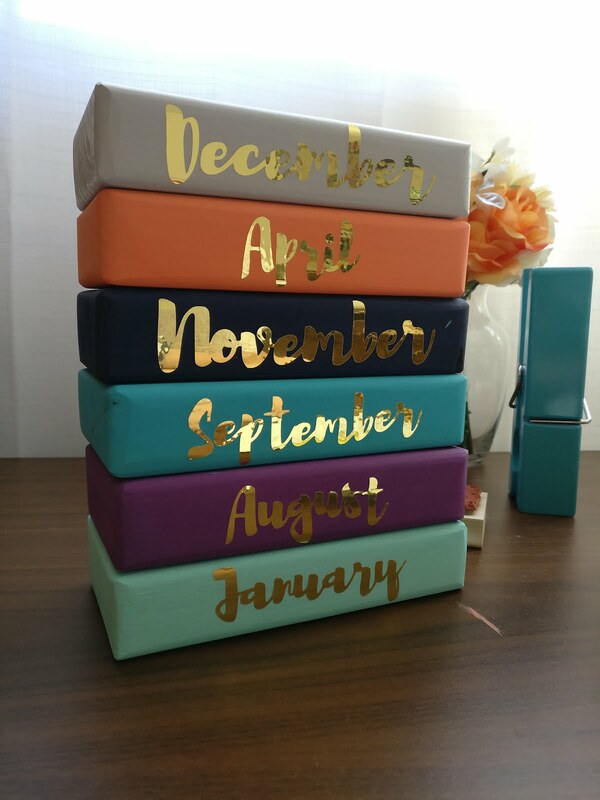 FYI, I think you should use whatever contact paper is cheapest (and good quality), whether that’s from Cricut, Silhouette, Amazon, WalMart, or Dollar Tree. Use the kind of paper that is going to benefit your needs, and don’t spend extra money on fancy paper to match your fancy machine. Shiny Gold Cricut paper just happened to fit my requirements in this circumstance. 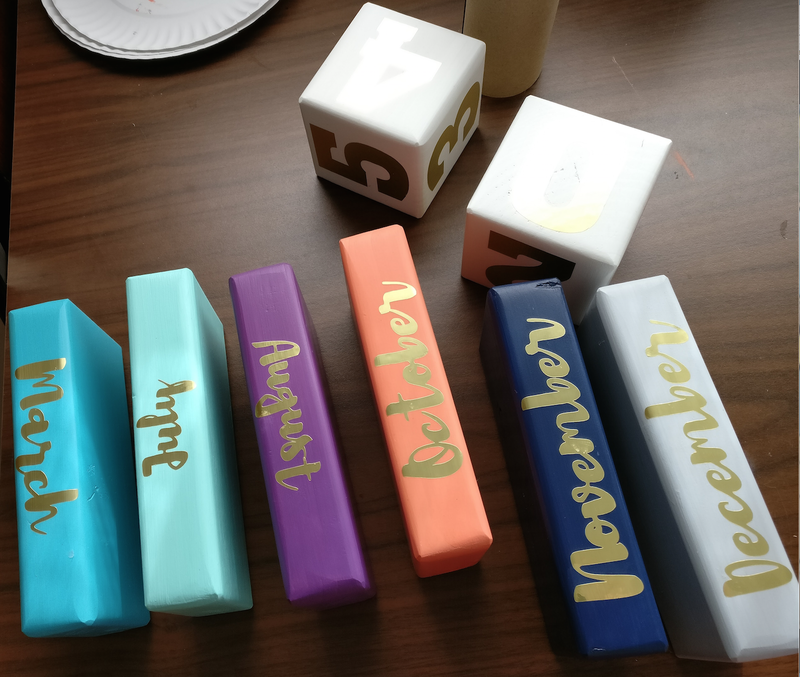 I peeled off the month words and stuck them on the blocks, one on each long side of each block. In the end, I decided on the chunky numbers, and I think they turned out well. 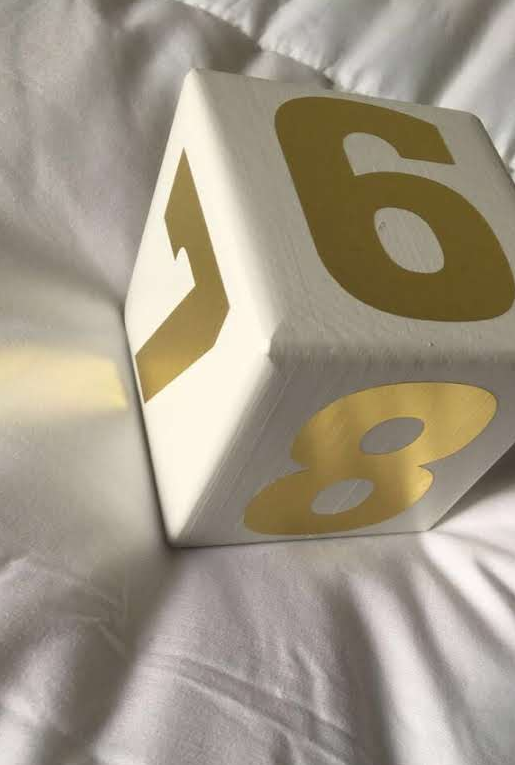 So, after I stuck the numbers and months on, I had a dilemma. 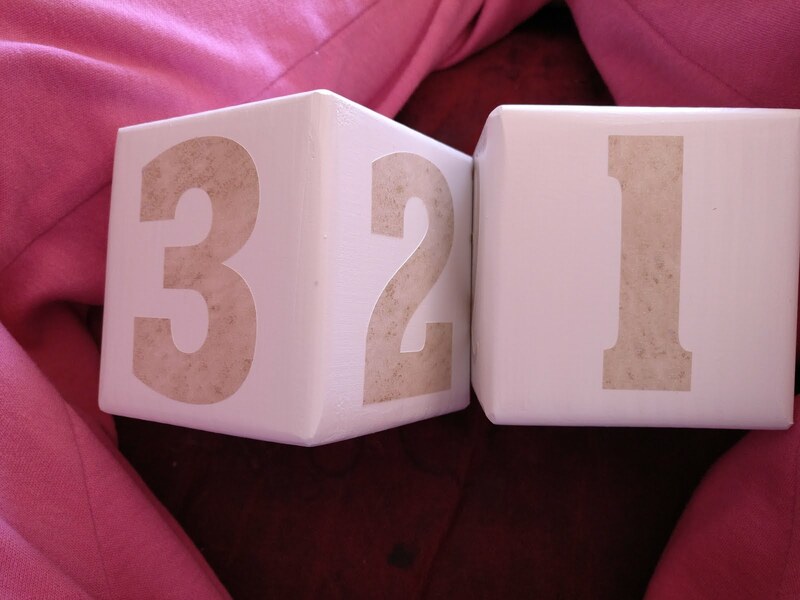 I wasn’t sure if I should mod podge over the blocks to make them more durable. I tried the mod podge on a scrap of gold contact paper, and it visibly dulled the shininess of the gold. Left side: not mod podged. Right side: mod podged. In the end, I decided that durability was more important. So I smeared every side of every block in mod podge. It dulled the shininess, but I was still happy with the results. 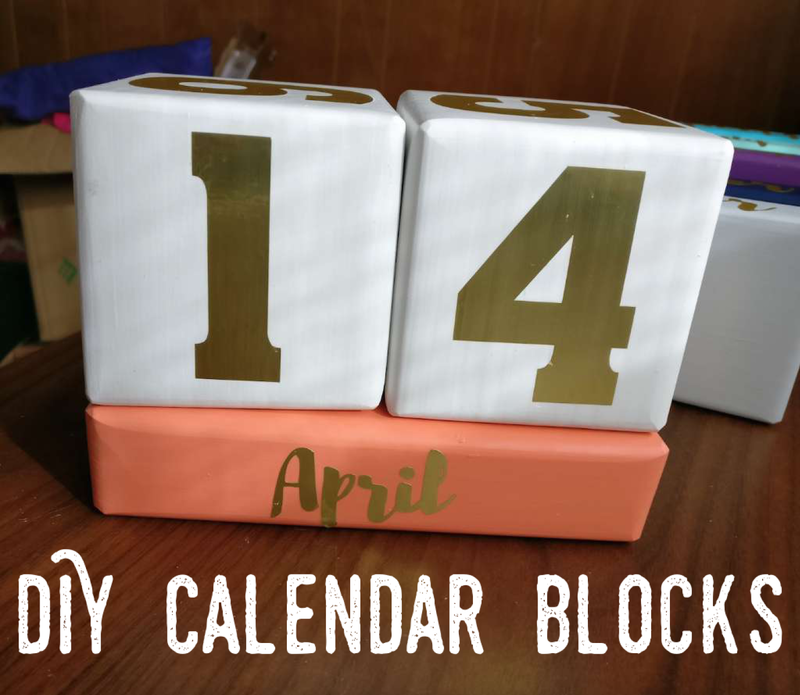 And there you have it, durable, ready-to-use calendar blocks! This is super cool and such a great idea! !